The former president of Waterford Institute of Technology, Professor Kieran Byrne has lost his High Court action over the college’s governing body’s decision not to reappoint him to the post. In his judgement on Tuesday Mr Justice Senan Allen said that he was rejecting Prof Byrne’s claim that he was entitled to be reappointed as WIT President in 2011. The Judge also said no one on WIT’s governing body, whose function it was to select a new president, ever told Prof Byrne that he would be re-appointed to the post. While Prof Byrne claimed he had been informed by a member of the selection board and the Public Appointments Board that he had been selected, the judge said the Professor could not have legitimately believed that those parties spoke for WIT’s governing body. Prof Byrne was appointed WIT President in 2001 for 10 years. In 2011 a subcommittee of the WIT’s governing body was set up to oversee the selection of President from May 2011 onwards. The subcommittee recommended Prof Byrne’s reappointment for another five years. That recommendation was not ratified by WIT’s governing body at a meeting on May 12, 2011, and the position was readvertised. 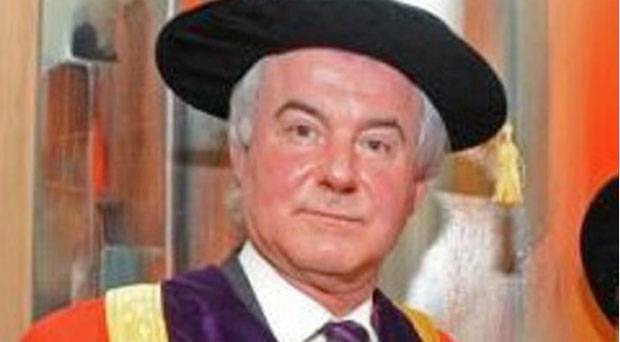 It was claimed that the decision not to reappoint Prof Byrne as WIT President was taken after a newspaper published an article concerning the level of expenditure of WIT President’s Office during his tenure. The article referred to figures released under the Freedom of Information Act. During a six-day hearing against WIT, Prof Byrne of Leoville, Dunmore Road, Waterford claimed there was a failure to conduct the selection process properly. He sought declarations that the Governing Bodies’ decision not to ratify his appointment as President was null and void and that he was entitled to be appointed to the position, and that WIT had acted in breach of constitutional justice and fair procedures. He also sought damages for negligence, breach of contract and the damage he suffered to his good name, breach of legitimate expectation and misrepresentation. WIT rejected the claims and denied any wrongdoing. It said the governing body’s decision not to reappoint him was done following a fully transparent process, or that the process was flawed. It also denied claims it represented to Prof Byrne that he had been reappointed and said it was entitled to take the claims in the media reports into account when considering the appointment. In his judgment, Mr Justice Allen said that it was Prof Byrne’s case that he was entitled to be reappointed and that WIT’s governing body was not entitled to do anything other than ratify his appointment. The judge said the issue was whether, at the end of the selection process, WIT’s governing body were bound to appoint Prof Byrne. He said that having carefully considered the arguments, he was satisfied that the function of appointing a president of the WIT is a function of the governing body. The subcommittee established, known as the Presidential Appointments Committee, which had recommended Prof’s Byrnes reappointment, was not established to appoint the new President, but only to oversee the process. The Judge added that he did not accept Prof Byrne’s argument that the governing body was not entitled to have regard to freedom of information requests concerning alleged expenditure by the President’s office during Prof Byrne’s tenure. Even if Prof Byrne had mistakenly assumed he would be reappointed there was no evidence put before the court that the governing body proceeded on the same mistaken assumption. The Judge said that no matter what happened, Prof Byrne was always to be disappointed if he was not reappointed. In circumstances in which he had come to expect to be reappointed his disappointment was greatly compounded by embarrassment, the Judge said. The Judge said whatever was said to make the Professor believe he would be reappointed was not something the governing body nor the Public Appointments Service was responsible for.